Your order will ship TOMORROW if placed in the next 10 hours 57 minutes . Enter your shipping address zip code to receive an instant delivery date estimate from UPS. Federal Power-Shok 270 Winchester Ammo 130 Grain Soft Point for sale online at cheap discount prices with free shipping available on bulk 270 Win ammo only at our online store TargetSportsUSA.com. 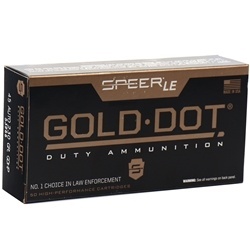 Target Sports USA carries the entire line of Federal Ammunition for sale online with free shipping on bulk ammo including this Federal Power-Shok 270 Winchester Ammo 130 Grain Soft Point. Federal Power-Shok 270 Winchester Ammo 130 Grain Soft Point review offers the following information; Whitetail deer hunting requires a bullet that is versatile and dependable enough to handle anything. This Federal Power-Shok 270 Winchester 130 Grain ammunition provides shooters with consistent and proven performance at an affordable price! Federal Power-Shok is hard hitting ammunition designed for exceptional performance in the field. This 270 Winchester ammunition is a combination of premium bullets with Federal's reputation for quality results in a hunting round that you can depend on. This Federal Power-Shok 270 Winchester ammunition is loaded with a 130 grain Soft Point bullet. Soft Point bullets provide consistent expansion, favorable accuracy and outstanding effectiveness on medium size game. The Power-Shok bullet is built with an exclusive hot core process that eliminates the lead oxide layer that can cause core slippage. In addition the unique jacket profile and fluted tip ensures that this round delivers reliable expansion over a wide velocity range. This Federal Power-Shok 270 Win is a great all-around choice for any medium to large game hunting! Federal Power-Shok is non-corrosive, new production ammunition in boxer primer and reloadable brass cases. This 270 Winchester ammo has a muzzle velocity of 3060 feet per second and a muzzle energy of 2703 ft lbs. Federal 270 Winchester ammo is packaged in boxes of 20 rounds or cases of 200 rounds. Purchase a case of Federal Power-Shok 270 Winchester bulk ammo from Target Sports USA and receive free shipping! Soft Point bullets provide consistent expansion, favorable accuracy and outstanding effectiveness on medium size game. This Federal Power-Shok 270 Winchester is a great all-around choice for any medium to large game hunting. 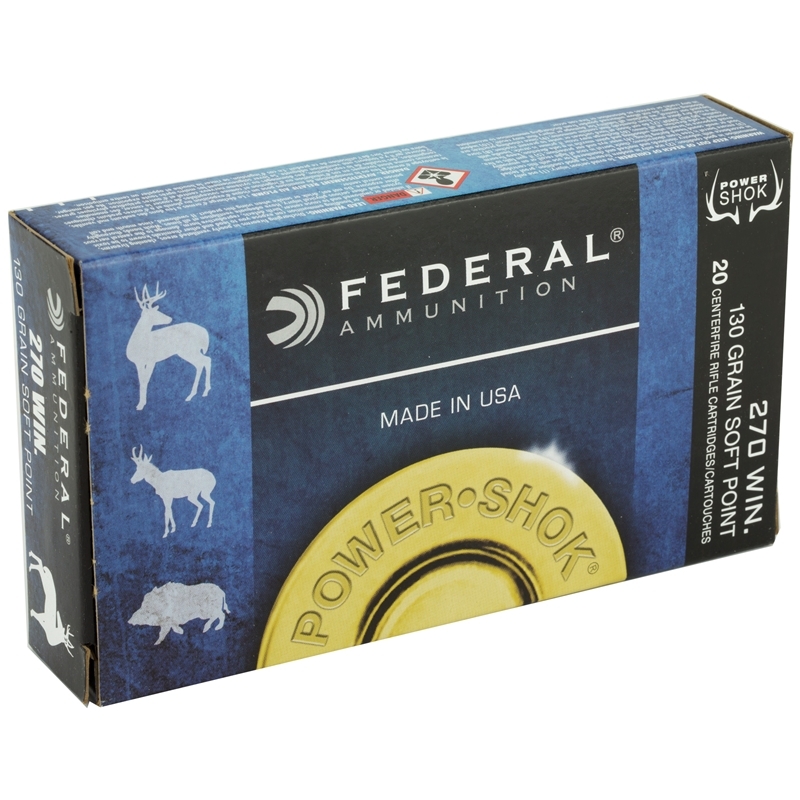 Federal Power-Shok 270 Winchester ammo provides shooters with consistent and proven performance at an affordable price. Great range federal power Shok ammo.